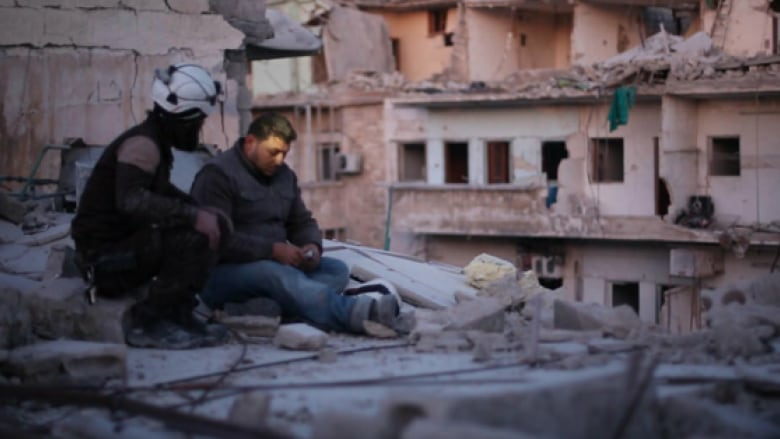 Members of the Syrian Civil Defence group are heading to the Oscars, where their film Last Men in Aleppo is nominated for best feature documentary. "We were very happy to be nominated," Khaled Khatib, a member of the volunteer emergency response group and one of the film's producers, told CBC News in a Skype call from Istanbul earlier this week. After years of documenting the efforts of the White Helmets (as the group is also known) in war-ravaged regions of Syria, Khatib is slated to get some respite from the chaos this weekend in Hollywood. This marks the group's second time in the Oscars spotlight. Last year, British filmmaker Orlando von Einsiedel's The White Helmets won the Academy Award for best short subject documentary. However, due to complications with their travel visas, Khatib — who worked as a cinematographer on that film — and others on the crew were unable to attend. This year, members of the group had again planned to travel to Los Angeles, but Khatib is among the few who secured a travel visa. 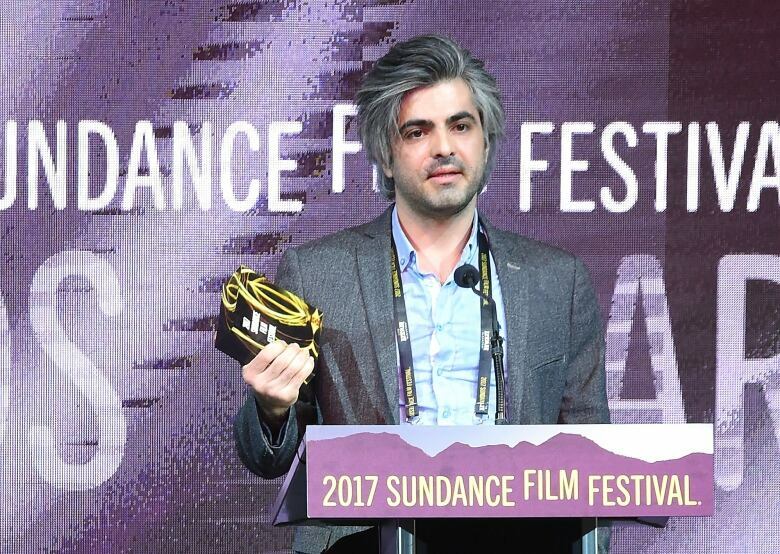 Last Men in Aleppo, directed by Feras Fayyad, made history this year as the first Syrian-directed and produced film ever nominated for an Oscar. The documentary, which won a 2017 Sundance grand jury prize and honours from other film festivals, follows five White Helmet volunteers as they go about their daily lives in war-torn Aleppo. Khatib said he understands viewers may find watching Last Men in Aleppo tough — the film features grisly scenes of bombing rescues and recovery efforts — but "the idea behind this documentary is to show the situation we live with in Syria." 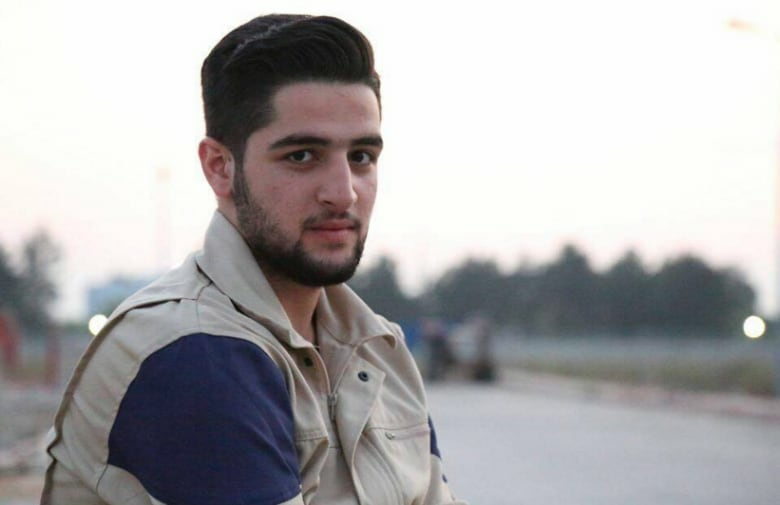 About five years ago, Khatib began volunteering with the White Helmets at the age of 17. He recorded daily rescues and posted them on the group's YouTube page as a way to share who they were and what their jobs entailed. That desire to spread awareness became the driving force behind the group's documentary work. Though Last Men in Aleppo is filled with scenes of pain, Khatib added, the documentary also reveals glimmers of hope — like the rescue of an infant pulled alive from the rubble. For the documentary's creators, attending the Academy Awards is much more than an excuse to wear a tuxedo and hobnob with Hollywood's elite, according to Khatib. What matters is the message they're bringing to the red carpet. "We don't care about the award," he said. "We care about telling our people's story."